View Poll Results: NST Pulley Group Buy? Anyone here using a lightweight crank pulley from NST? Would the members here be interested in a possible, discounted, group buy effort? Last edited by NonStopTuning; 07-25-2014 at 06:26 PM. Any feedback on the pulley? Did it make a noticeable difference? 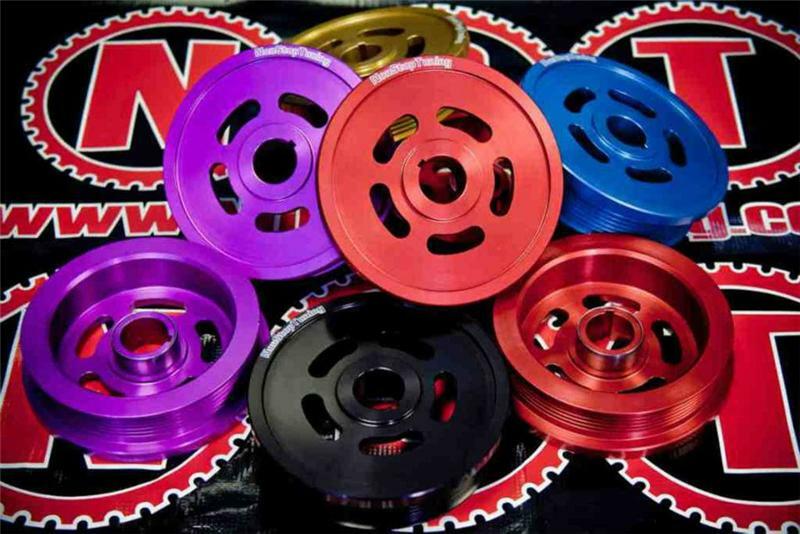 All NST Pulleys are apx 70% lighter than the OEM pieces they replace. NST Pulleys are often called the best bang-per-buck mod for most imports. Thank you very much for the support, much appreciated. As you can see, evidenced by the replies to this thread, there does not seem to be enough interest/demand from the community to offer a discounted group buy.